Peel, clean and devein shrimp. If fresh shrimp is not available, frozen will work just fine. 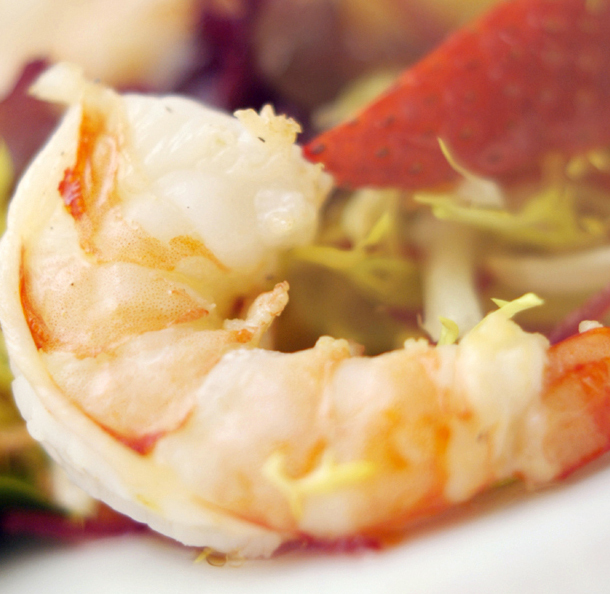 Frozen cooked shrimp is also available if you are pressed for time, just allow time for them to thaw. Place garlic and oil in a small skillet and cook over medium heat until fragrant, about 1 minute. Add lemon juice, parsley, salt and pepper. Toss with shrimp in a large bowl. Chill until ready to serve. Cover and refrigerate for up to 2 hours. Serve over Bibb or Boston lettuce. This entry was posted in Metabolic Medical Center Recipes, Seafood and tagged easy, garlic, healthy, lemon, lemon garlic shrimp, shrimp by foodies4mmc. Bookmark the permalink.